Today is the Boston Marathon, the premier marathon in the United States. After last year’s horrific bombing, the marathon has become even more significant. Over 30,000 runners have registered for this year’s race. Two of my running buddies, Mike Johnson and Dan Foster, will be running the 26.2 miles and I am excited for them. 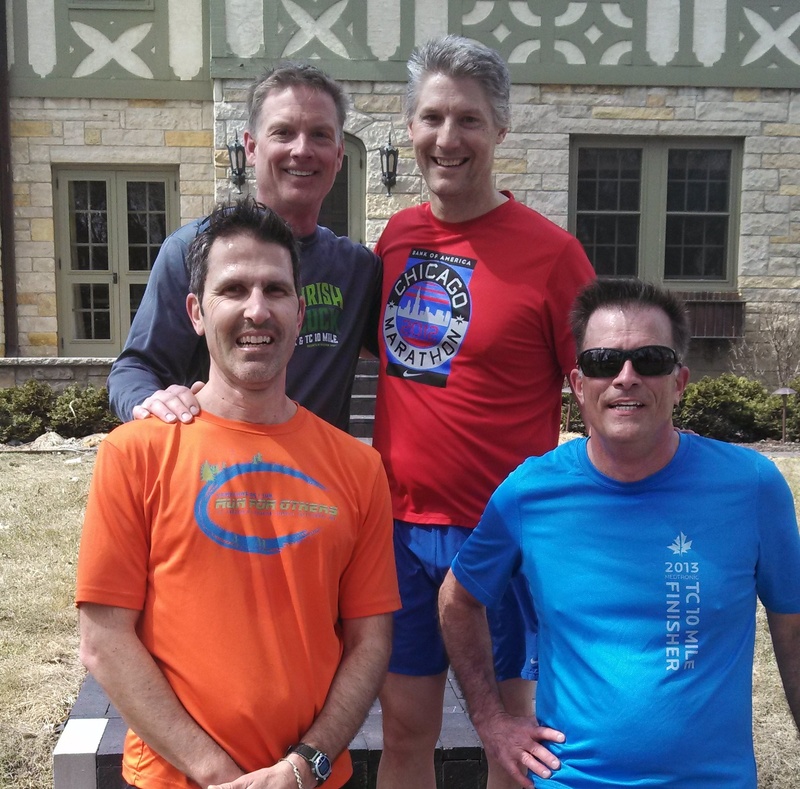 A mutual friend Tim Torgerson wrote a great reflection on supporting Mike, Dan and the other runners who will be running today. Dan and Mike stand behind fellow runners Bob and Gary. All four have run Boston in recent years. For some reason that stuck with me. I thought about for the next two days. In reality, because of last year’s tragic events and because it is the way running with friend bond, we really are there. In some way, we are all connected. That is certainly why this Boston is going to be celebrated like none other. It’s the connection that all marathoners have as we strive to do what a majority of people think is impossible or just plain crazy. 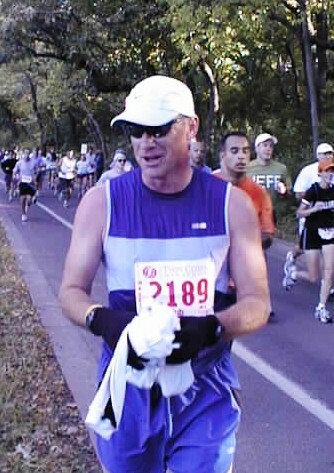 In addition to being physically challenging , marathoning is a deeply emotional experience. It’s probably for that reason that most runners can’t just do one! The most important thing I want to say is Good Luck, Have Fun, Dan and Mike. Enjoy what will probably be the most memorable marathon in your career. You are running for all of us. I am reminded of St. Paul’s instructions, “Rejoice with those who rejoice, weep with those who weep” (Roman 12:15). Today I am rejoicing with Dan, Mike and the other 35,000 runners at Boston. Lord Jesus, grant strength and hope to all runners this day. This entry was posted in Joy, Running, Uncategorized and tagged Boston Marathon, community, Dan Foster, Mike Johnson, Tim Torgerson on April 21, 2014 by Pastor John Keller.